Old Man's War is an interesting story with a great start. It takes an unusual approach to military recruiting. The main character is a seventy five year old man who visits his wife's grave and then joins the military. It's a strange start to a military sci-fi book, and it puts the reader on the back foot from the first paragraph. From there on, it's a case of trying to keep up. We find ourselves wondering how he can be any use on combat operations when he can barely walk a hundred paces without sitting down for a biscuit and a cup of tea. John Scalzi does a great job of surprising us with an implausible situation and then providing an even stranger but very believable explanation. Soon we find ourselves liking the main character, along with the group of 'Old Farts' that become his friends. They all joined the military on their 75th birthdays. They share an unusual journey that takes them far away from everything that they have ever known. The story is full of interesting and imaginative technology. The characters are likeable and the plot takes us on a series of twists and turns that are quite literally out of this universe. The science is handled well. The alien races that we meet are well described and not too outrageous. Their societies have depth that takes them beyond the typical stereotypes. From the start, it is clear that the author is skilled in the art of crafting a good story. 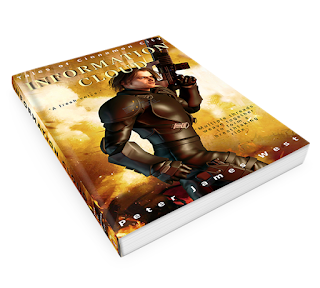 The book has a good, well-rounded style and it always feels like you are in safe hands. I enjoyed this book a great deal. 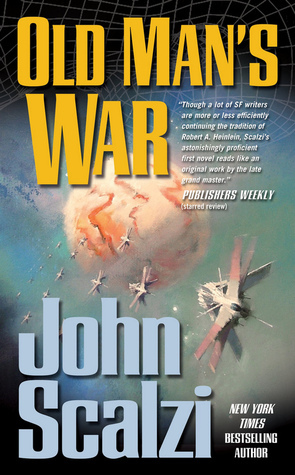 John Scalzi obviously has a long writing career ahead of him. I gave Old Man's War 5 out of 5 stars. I would recommend this book to science fiction fans who like military action, technology, science and space exploration.